From Yahoo! Finance: Marrone Bio Innovations, Inc.’s ISS Governance QuickScore as of Jul 1, 2015 is 9. The pillar scores are Audit: 2; Board: 10; Shareholder Rights: 9; Compensation: 5. Brought to us by Institutional Shareholder Services (ISS). Scores range from “1” (low governance risk) to “10” (higher governance risk). Each of the pillar scores for Audit, Board, Shareholder Rights and Compensation, are based on specific company disclosures. That gives us a quick idea of where to focus: Board and Shareholder Rights. Marrone Bio’s Summary Compensation Table shows the highest paid named executive officer (NEO) was Pamela G. Marrone at $311,973. I’m using Yahoo! Finance to determine market cap ($27.2M) and Wikipedia’s rule of thumb regarding classification. 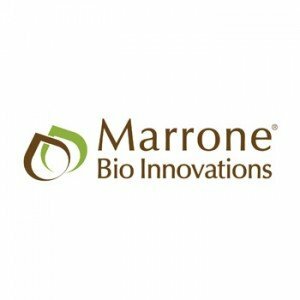 Marrone Bio is a nano-cap company. According to Equilar, the median CEO compensation at small-cap corporations was $2.7 million in 2013. Nano-caps are considerably smaller. However, Marrone Bio’s pay is probably lower than median for the period. Marrone Bio shares underperformed the NASDAQ over the most recent one, two, and five year time periods by a wide margin. Marrone Bio is apparently too small to be included in the MSCI GMIAnalyst database or to be required to provide a say-on-pay. I voted against both directors. Marrone Bio lost 69% of its value this year so far and further declines might be expected. Although Marrone Bio finally restated their finances, we can probably expect a class-action suit. I’m certainly not pleased with the current board. Plurality vote standard to elect directors with no resignation policy. Supermajority vote requirement (66.67%) to amend certain charter provisions. Supermajority vote requirement (66.67% or 80%) to amend all bylaw provisions. They don’t make it easy to figure out when proposals are due. Our stockholders are entitled to present proposals for action at a forthcoming meeting if they comply with the requirements of our bylaws and the rules established by the SEC. We anticipate that the date of our 2016 annual meeting of stockholders will be more than 30 days before the anniversary date of this year’s meeting. As a result, to be considered for inclusion in the proxy statement for our 2016 annual meeting of stockholders, stockholder proposals must be delivered to our principal executive offices not later than the close of business on the later of the 45th day prior to such annual meeting or the 10th day following the day on which public announcement of the date of such meeting is first made. Any stockholder proposal (including a proposal to nominate a candidate for director) that is not submitted for inclusion in the proxy statement for our 2016 annual meeting of stockholders must be delivered to or mailed and received at the principal executive offices of the Corporation not less than 45 days prior to the date of the annual meeting. Proposals should be addressed to our Corporate Secretary at 1540 Drew Ave., Davis, California 95618. You are also advised to review our bylaws, which contain additional requirements about advance notice of stockholder proposals and director nominations.